Contract archaeology (often called “rescue” or “salvage” archaeology) is archaeological survey and excavation carried out, under commercial contract, in areas threatened by, or revealed by, construction or other development. Such development may include dams, highway projects, major construction, cable laying or even before the onset of war operations. Unlike traditional survey and excavation, rescue archaeology must be undertaken at speed. Rescue archaeology is included in the broader category of “Cultural resource management” cultural resource management (CRM)”. Rescue archaeology occurs on sites about to be destroyed but on occasion may include in situ preservation of any finds, or protective measures taken to preserve an unexcavated site beneath a building, for example. Urban areas with many overlaid years of habitation are often candidates for rescue archaeology. The focus of early work was in setting up organisations that could undertake ‘rescue’ excavations in the teeth of the bulldozer. Archaeologists relied on the goodwill of the developer to provide the opportunity to record remains. In more recent use, an archaeological survey may be required by planning process or building law (link to law). Contract or commercial archaeology services have sprung up to meet the needs of developers to comply with local laws and planning regulations. For a more detailed account in English see: http://en.wikipedia.org/wiki/Rescue_archaeology. Y.G. Archaeology was established in 1996 by Yehuda Govrin and was the first archaeological consulting firm in the country. Y.G. 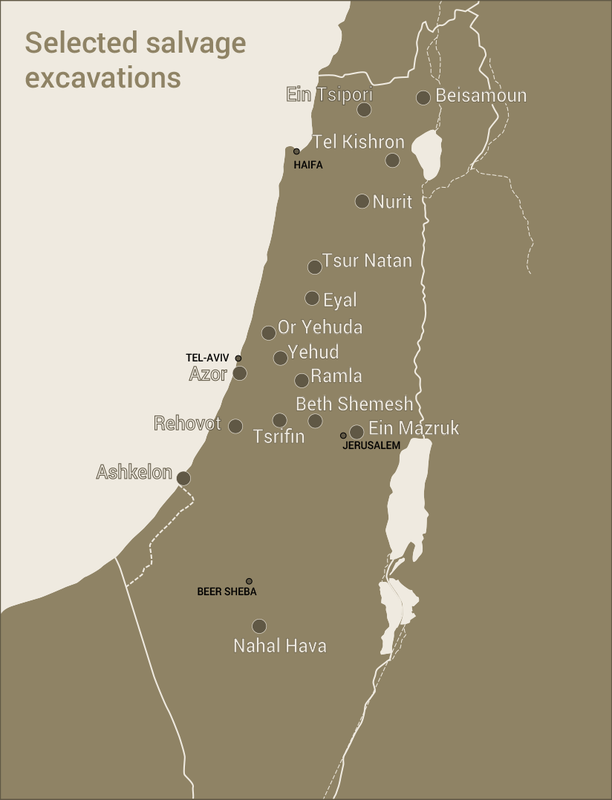 Archaeology came under the academic umbrella of the Nelson Glueck School of Biblical Archaeology, Hebrew Union College in 2005. Y.G. Archaeology provides consultation, emergency survey and salvage excavation services. We will help you, the developer, contractor or homeowner, navigate the intricacies of the antiquities laws and expedite the required archaeological work in a speedy yet scientifically acceptable way.